Attia’s work is not characterised by a particular aesthetic or format, but evolves according to what he describes as ‘the unexpected possibility of discovery’. The French-Algerian artist (b. 1970) is invested in the materiality of objects, as much as in the intangible nature of knowledge. Objects uncovered in his research in museum archives, become the starting point for vast works, often combining centuries-old found items with originally cast sculptures. The object that inspired his room-sized installation, The Repair from Occident to Extra-Occidental Cultures at dOCUMENTA(13) in 2012, for example, was a piece of cloth made by the Kuba people of the Congo, the holes of which had been patched up with Vichy fabric: a basic act of repair that made a powerful point about cultural appropriation. Like most international artists, he has travelled – still travels – widely: his first solo exhibition of photography took place in 1996 in the Congo, where he was doing his obligatory non-military service; his subsequent photography series represents architectural sites in Algeria. 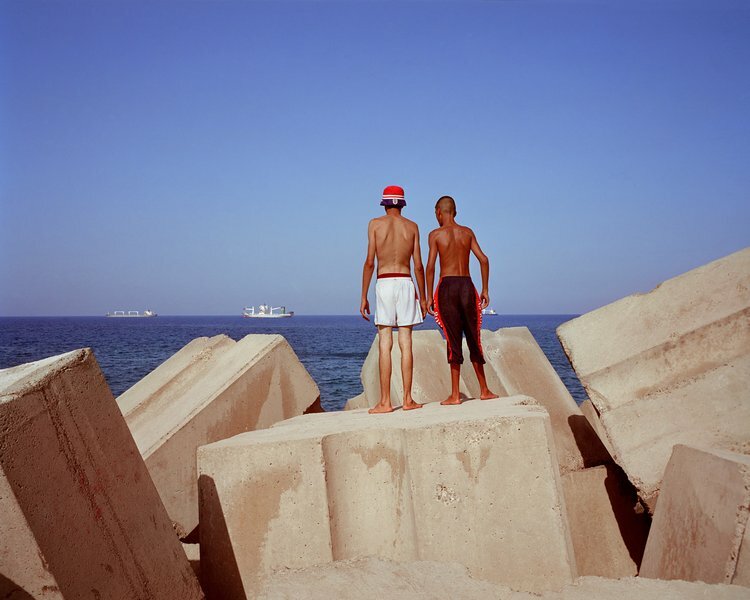 On the cubic boulders featured in Rochers Carrés (2008), young men look out over the Mediterranean; the image is like a détournement of Caspar David Friedrich’s wanderer, transposed to North Africa. The transition from photographs to sculpture and installation came via the medium of collage, where he cuts, edits, or ‘repairs’ old images into new formations. Across media, Attia’s works take residence in the space of his own cultural identity. A back and forth from Occident to ‘Orient’, along with an insistent questioning of these categories, provides the momentum for his creations. 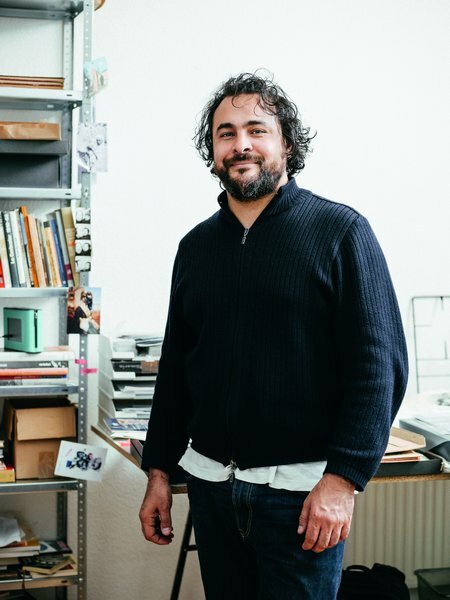 Berlin has become best known as a city that offers space and time, or creative freedom; the office of Attia’s studio, however, is, as he would say, rempli – completely full. The desk is covered in archive boxes, film negatives, books on colonialism, and Riad Sattouf’s graphic novel L’Arabe du Futur (‘The Arab of the Future’; 2014). It’s like a working Tower of Babel. For if Attia claims he is attracted to art’s inexplicable qualities, he is also clearly curious about explanations of humanity that cross disciplines and cultures. Before a year at Barcelona’s School of Applied Art ‘La Massana’, he studied philosophy and fine art in Paris in 1993, which comes across in his conversation (during the course of which he mentions Descartes, Darwin, Nietzsche, and Foucault, to name a few), and in the erudite allusions in his work. Take Continuum of Repair: The Light of Jacob’s Ladder (2013), created for the old library of the Whitechapel Gallery in London. A square of tall shelving, filled with openly consultable books from anthropology to the history of science, surrounds a cabinet of curiosities, eponymous ladder attached. In the Bible, Jacob’s Ladder ascends from earth to heaven, a staircase for the angels of God. The work nods to interpretations of the tale throughout art history, from Rembrandt to William Blake and Gustave Doré. The cabinet contains a telescope angled towards the heavens, the notes of Arab astronomers, and starry etchings, while viewers are invited to climb the ladder. The piece has been interpreted as a vision of the minds of mankind stretching into the sky. But contrary to a somewhat antiquated idea of linear progress, Attia is interested in the connections between Western and non-Western ideas. A recurring aim of Attia’s work is to make viewers step outside of their pre-existing worldview, the ‘I’ that is ‘the product of thousands of connections which do not belong to you,’ and to look back on this perspective from a distance. The distance created by taking a familiar Western form, such as the marble military bust, and rendering it in an unfamiliar aesthetic – wood hand-chiselled by craftspeople in Bamako (Mali) and Brazzaville (Congo). This was the approach behind the Gueules cassées (‘broken faces’) of the installation Culture, Another Nature Repaired (2014). Conventional military busts conform to what Attia calls ‘The Myth of the Perfect,’ which he explains as ‘an exaggeration of health, a celebration of power.’ But Attia’s busts bear the deformations of injuries, bringing together the medical histories of the First and Second World Wars and the treatment of injury in non-Western cultures. Attia explains: ‘I discovered these masques de maladie [injury masks], an example of how in traditional societies from Papua New Guinea to Latin America and Africa, there were rituals around illness, because illness was the link between the real and the ancestral…In traditional societies, injuries have always been part of the body. The visibility of the subsequent repair is not a problem, on the contrary, it’s part of the new life of the person or object.’ It’s the opposite of the Western ideal of returning to the original state: ‘the injury becomes even more important than the object.’ The injury masks also appear alongside white Carrara marble busts whose faces are roughly stitched together, squashed and painful-looking, in Repair, Culture’s Agency (2014), a pairing that again links the improvised surgery of First World War battlefields with the ritual masks of the African continent. ‘Repair is not only about fixing,’ Attia says. ‘It’s a process that binds two situations, that turns one situation into another through a sort of improvement, positive or negative.’ Rather than buzzwords like ‘regeneration’ or ‘renewal’, which gloss over real issues with shiny façades, repair involves an evolution that is faithful to history. Like the enduring injury mask, the art of Kader Attia provokes other ways of seeing – a gaze that notices all the fractures, and pays attention to the cracks. 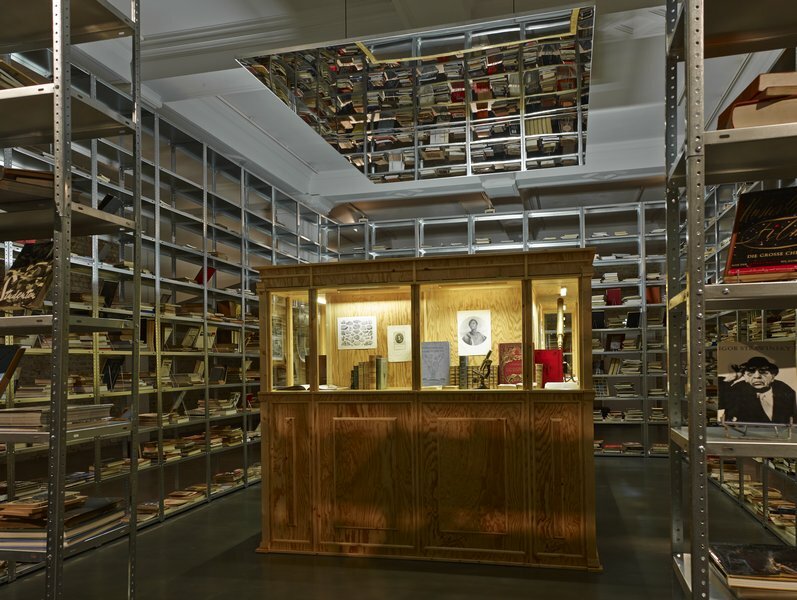 ‘Kader Attia’ will run at the Musée cantonal des Beaux-Arts, Lausanne from 22 May–30 August. Can museum education programmes have a more radical purpose?